The Biographical History of Basketball gives readers a much-needed antidote to basketball's historical amnesia. 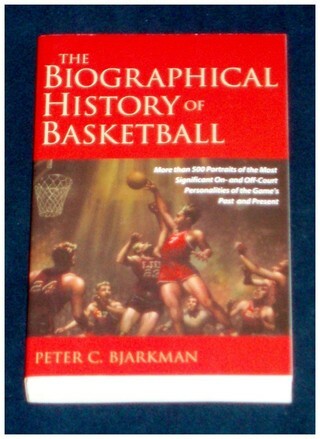 Author Peter C. Bjarkman presents entertaining and fact-filled career summaries of the sport's greatest players, its groundbreaking coaches and administrators, and its other often-forgotten and less-publicized figures who authored developments crucial to basketball's century-long evolution. While baseball buffs can cite chapter and verse for the diamond sport's most memorable events and personages, basketball fans often have little collective memory of the game's past milestones and heroes, especially those from the nine decades preceding Michael Jordan, Larry Bird and Magic Johnson. 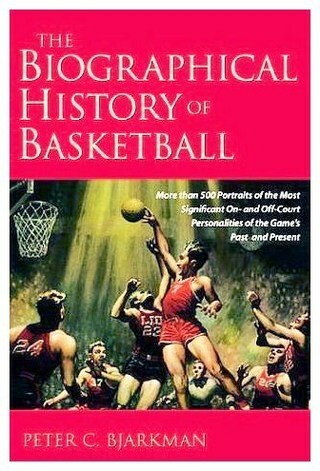 The Biographical History of Basketball sends readers on a nostalgic trip through the entire 100-year span of hoops history with personal portraits and little-known facts about the 500 most significant on- and off-court personalities of the game's past and present. Detailing the feats of the men and women who are responsible for elevating basketball to its current status as the new American national pastime, Bjarkman gives readers a fascinating glimpse into the lives of some of the game's most prominent figures—past and present—including pioneers like James Naismith, Phog Allen, and Doc Meanwell; on-court innovators Hank Luisetti, George Mikan and Bob Cousy; legendary Hall of Famers Oscar Robertson, Wilt Chamberlain, and Red Auerbach; and modern-era idols Michael Jordan, Shaquille O'Neal, Bobby Knight and Grant Hill. Aficionados of both the collegiate and professional games will be especially interested in this book's two introductory chapters condensing a century of NCAA history and half-century of NBA annals. And a special treat is the Epilogue's surprising and unconventional argument for Oscar Robertson as the sport's best on-court performer ever. 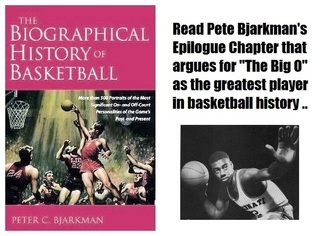 CRITICAL PRAISE FOR "THE BIOGRAPHICAL HISTORY OF BASKETBALL"